Hurry! FREE Bottle of Advil! You are here: Home / Coupons / Hurry! FREE Bottle of Advil! 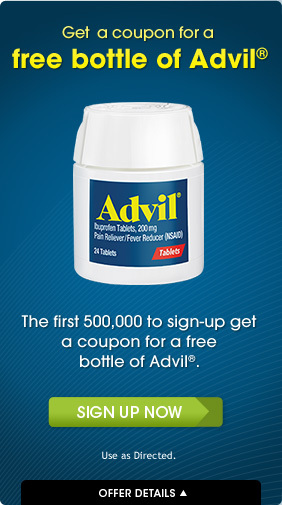 Hurry and register to receive a coupon for a Free bottle of Advil. 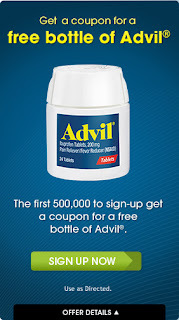 Coupon is good on one package of 24 count Advil tablets or 20 count Advil Liqui-Gels.